No minimum balance, $5.00 monthly service charge for up to 50 checks clearing (age 18-59), however with direct deposit of your payroll check and an affidavit signed at the credit union this fee is waived. There is a .20 per check service charge for checks cleared in excess of 50 per month. Automatic transfers from savings and an overdraft line of credit protection is available to qualified individuals. Minimum balance of $300, no monthly service charge for the first 50 checks clearing and a $10 fee if you fall below the minimum balance anytime during the month. There is a .20 per check service charge for checks cleared in excess of 50 per month. Dividends are compounded and paid monthly. If there are no account information changes and you have your Legacy reorder form you can reorder new checks here at: https://www.legacymemberservices.net/LOES/main/interfacewww.aspx?UseHeader=Yes. With either checking account at UECU you can apply for a FREE Debit Card. You can use it for purchases anywhere VISA is accepted. Use your Debit Card in place of writing a paper check. 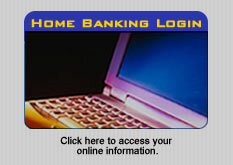 You may also get cash from your checking or savings accounts through ATMs. UECU charges no fees but you may be assessed a surcharge from some ATMs.